We’re excited to welcome Rosie Hicks, who has now been appointed as the Chief Executive Officer of the Australian Research Data Commons (ARDC). Rosie brings a wealth of experience to the role which will be fundamental to the ARDC in building a truly national capability, with global reach and a collaborative mindset. The ARDC is a transformational initiative that enables Australian researchers and the eResearch community to access nationally significant, leading edge data intensive eInfrastructure, platforms, skills and collections of high-quality data. Rosie has expertise and extensive knowledge of the Australian research infrastructure sector, and leadership experience as the former CEO of the Australian National Fabrication Facility (ANFF), constituting a unique skill set for this position. Her career, spanning Japan, UK and Australia, includes every aspect of scientific instrumentation from product development and technical marketing to the management of multi-user facilities working in environments that cross academic and industry domains. 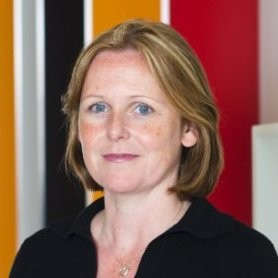 We would like to congratulate Rosie on her appointment and look forward to her commencement in her new role from Monday 15 April 2019. We would like to also warmly thank Ian Duncan as the Acting Executive Director and the entire ARDC Executive Team for their ongoing leadership during a time of transition for the ARDC.